Click here to view our process from Admission to Certification. Also, scroll down and view our Yearly Month to Month calendar of activities! View our areas of Certification. Let us help you decided which areas are best for you! Click here to stay up to date with State changes and/or SoTex ACP announcements. My experience with SoTex ACP was definitely positive. The staff is very professional and they treat everyone with courtesy and respect. The field supervisor is very attentive and during his observation visits, he would always at the end provide me with constructive criticism and feedback. Adding more his PPR training session was indeed helpful, he was very detailed and had knowledge about the topic. Diana and Norma were always ready to help out and willing to accommodate their schedule to ours. Any questions I had they were always there to answer and help out. Overall, my experience with SoTex ACP was greatly satisfying and certainly, I will recommend this program to people out there wanting to become teachers. I just wanted to let you all know that I had the privilege of getting certified to be an educator via South Texas Transition to Teaching in 2015. 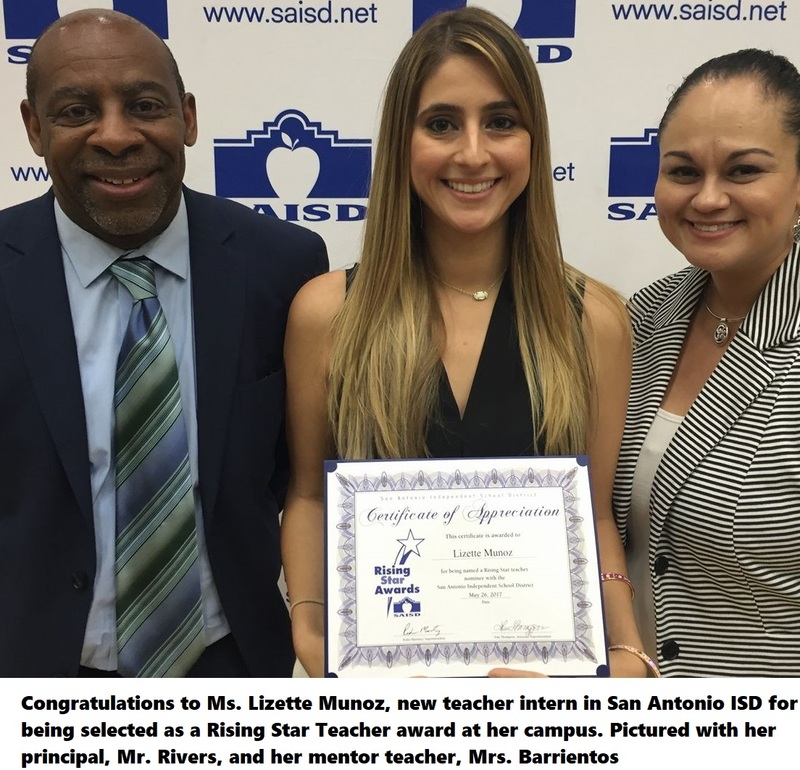 I passed my Math 4-8 content in June 2015 and shortly thereafter was hired by Mercedes ISD in September 2015 to work at Sgt. William G. Harrell Middle School and I am on my fourth year in teaching math at the same school. 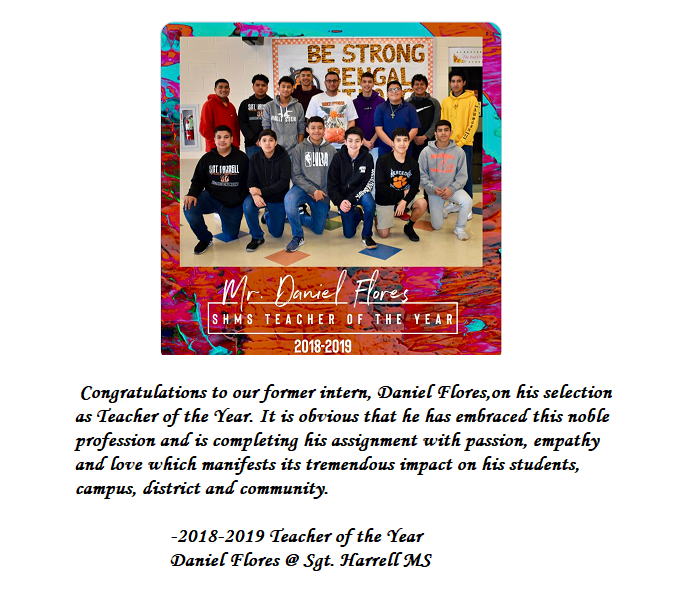 My first year I taught 6th grade math (passed my PPR in December2015), my second year I taught 7th grade math (coached 7th grade football and 7th grade basketball) and the past two years I have taught 8th grade math (coach 7th grade football and 8th grade basketball). Last year I was awarded for having the highest percentage of progress growth in my school. 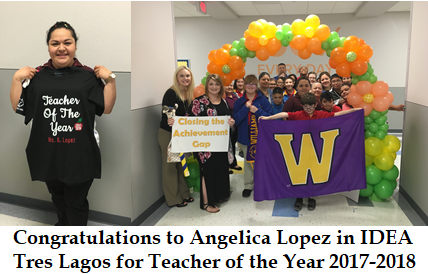 This year I was fortunate enough to be Teacher of the Year! 2018-2019. 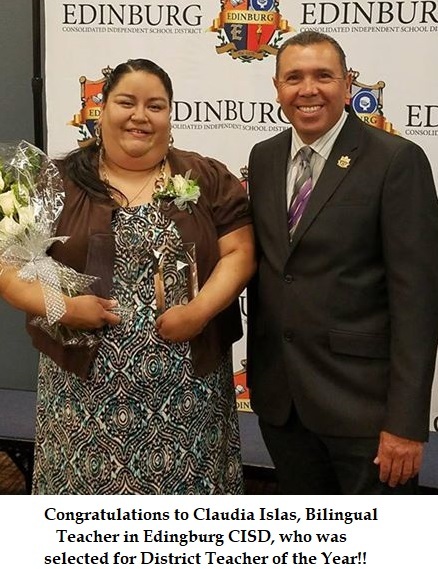 I just wanted to express my achievements to you and to inform you that South Texas Transition to Teaching prepared me very well for my teaching experiences and I would like to extend my gratitude. 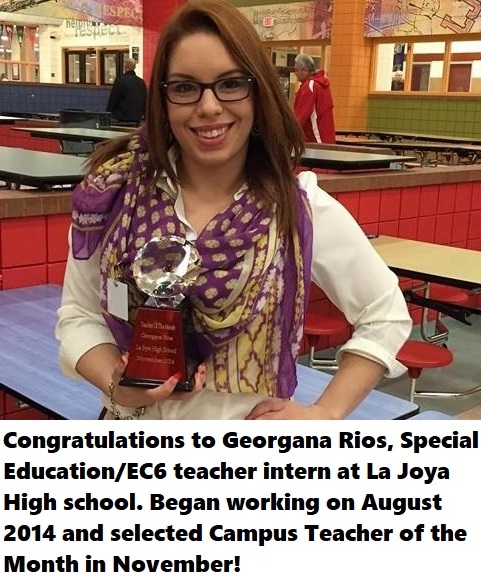 I am proud to have chosen South Texas Transition to Teaching to go into my career as an educator. I had previously worked for the Office of the Attorney General for 13 years before becoming an educator. 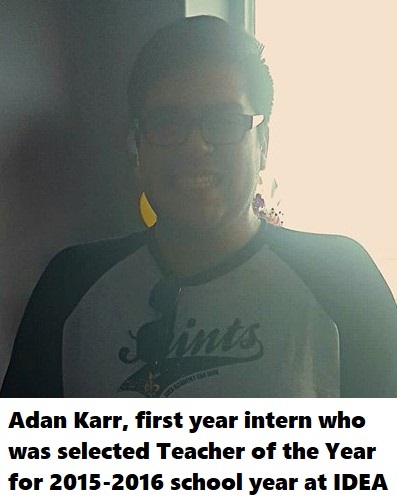 I am glad I found your program and decided to be an educator. 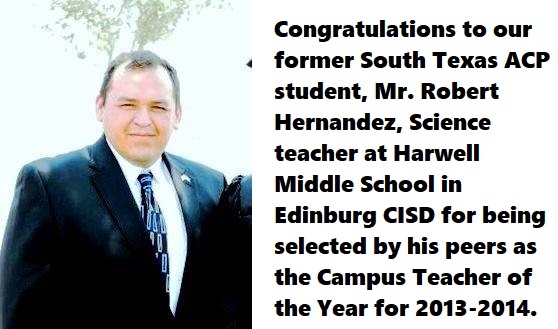 Thank you for what South Texas Transition to Teaching did for me and continues to do for present and future educators. I interacted with the most while in the program. positive feedback. He is always willing to help. I wanted to thank you, Norma, for being Amazing at your job. I can’t express how great my transfer to South Texas Transition to teaching has been. You and Mrs. Diana are true professionals that have made this switch a very smooth and valuable one. I wanted to thank you for resending the email about the PPR preparation course, with my busy schedule I overlooked it and nearly lost my chance to retake the PPR, but you made sure to get a response from me. With that said I wanted to let you guys know that I passed my PPR (258) and it only took me a few weeks, compared to the 2 yrs I wasted at Teacher Builder. You guys made this possible with the help of Mr. Gomez and his AMAZING STAFF, This was really a team effort, and I couldn’t have done it without you guys. I am blessed to have transferred over to a real AC program with great expectations. I am happy and excited to be working with such a professional program that will help me further my chances of getting a teaching job. 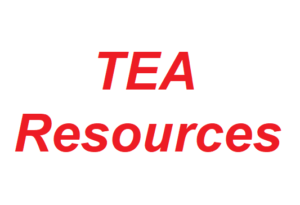 As an Independent Personnel Management Consultant for Texas school districts, I work with multiple Alternative Certification Programs to ensure districts are in compliance with state law. 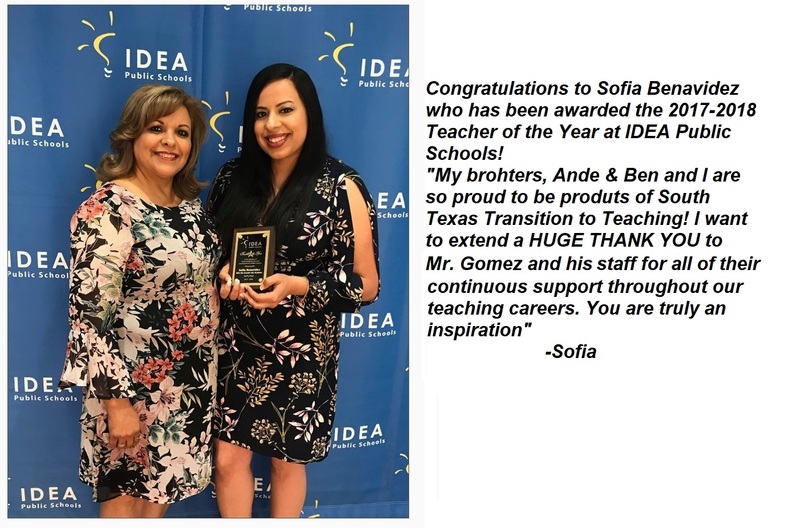 I have had the pleasure of working with South Texas Transition to Teaching and would certainly recommend them as an ACP entity. They are very responsive to emails and phone calls, are knowledgeable in laws and regulations, and maintain a professional relationship in all manner of communication. My experience with South Texas ACP has been nothing but positive and motivating. My field supervisor, Mr. Gilbert Gomez, has been nothing but inspiring. Despite whatever reservations I had about becoming an educator at first, so much so that I didn’t finish the program the first time around and took a sabbatical, it was Mr. Gomez and his anecdotes that helped push me through. 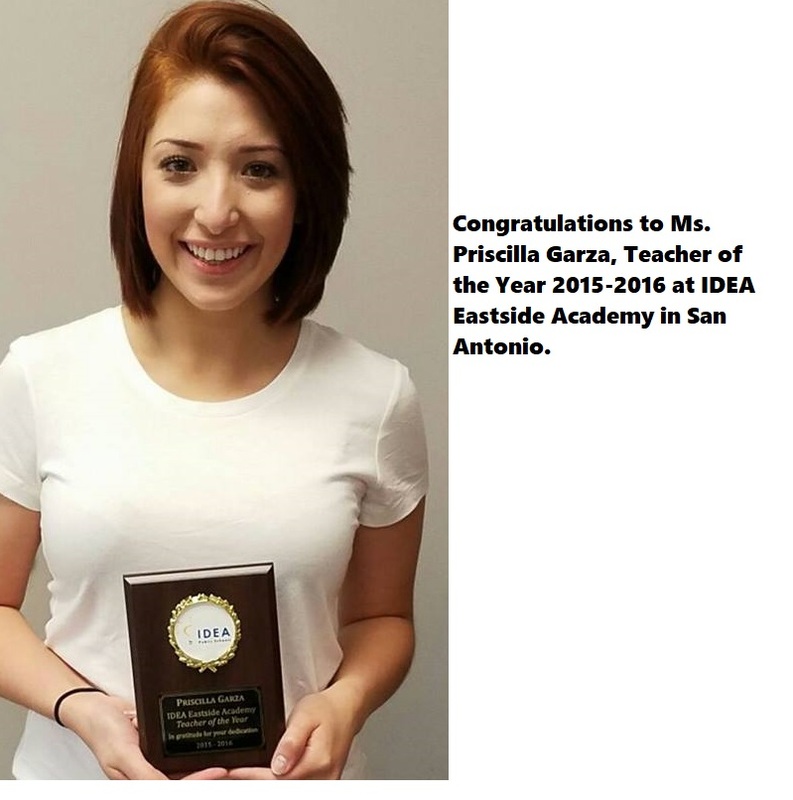 This program has helped me to fully realize my love for teaching and for aiding my students. I could not be more grateful for having had the opportunity to work with this program. 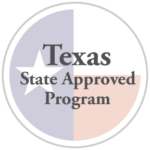 To this day when asked what program I would recommend for attaining a teaching certificate, I have no issue in highly recommending South Texas ACP. You guys are absolutely fantastic. 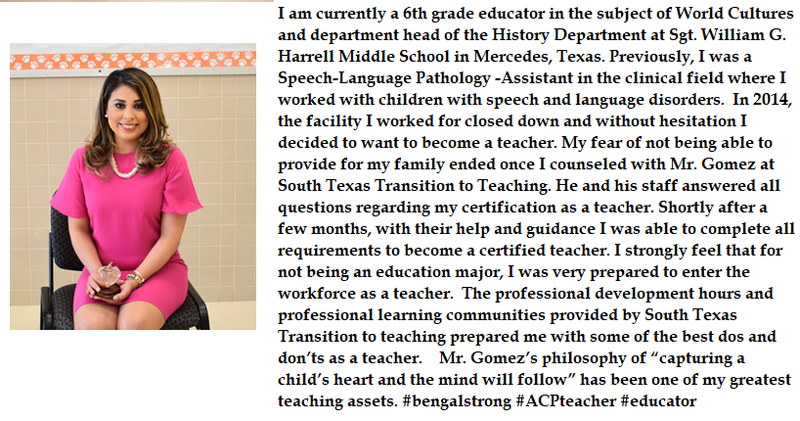 With the help of South Texas Transition to Teaching – ACP, I have successfully challenged three TExES exams. I challenged, each on the first attempt. I passed the ELA-R 4-8 with a score of 276 out of 300, the ESL Supplemental with 271 out of 300, and the PPR with 288 out of 300. 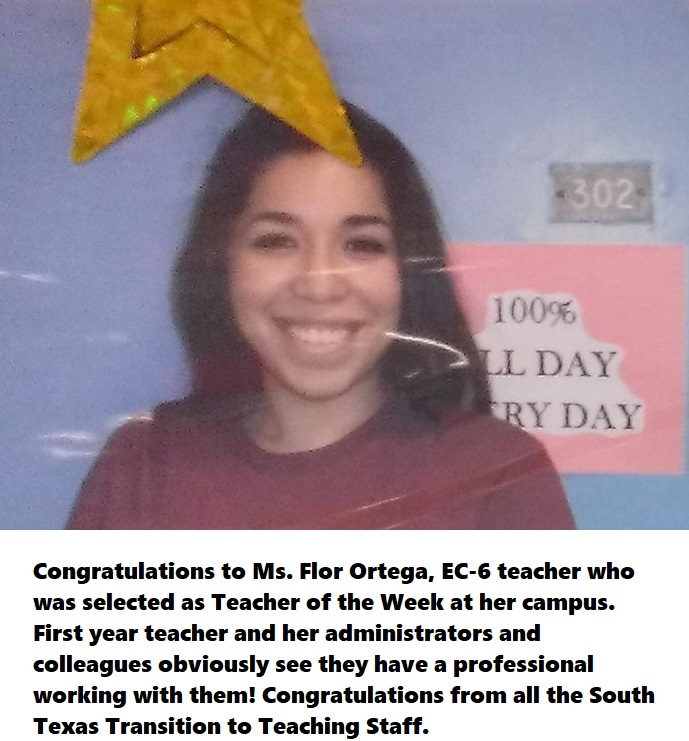 I am grateful to Mr. Gomez, who teaches his classes with humor, warmth, and enthusiasm, and also Norma, who is always so helpful in guiding me through the certification process and promptly answers any questions I may have. Thank you and your team for everything! You all are the best!! 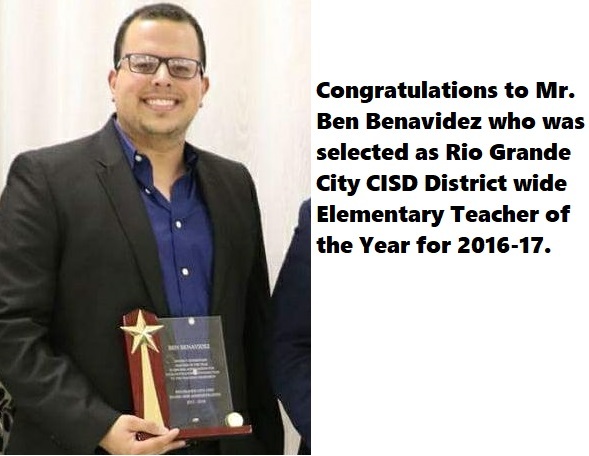 South Texas Transition to Teaching has been a blessing in my life. Everyone in the program was a great asset to my learning as a teacher. I learned so much and the staff in the program were very patient with whatever questions I had. I have nothing negative to say about this program. 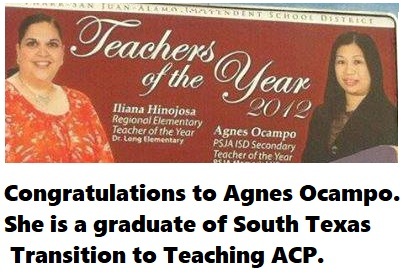 I honestly believe South Texas Transition to Teaching ACP has been SO helpful throughout this whole process. You all have been there for me and have provided me with some of the best mentors to guide me through the process. 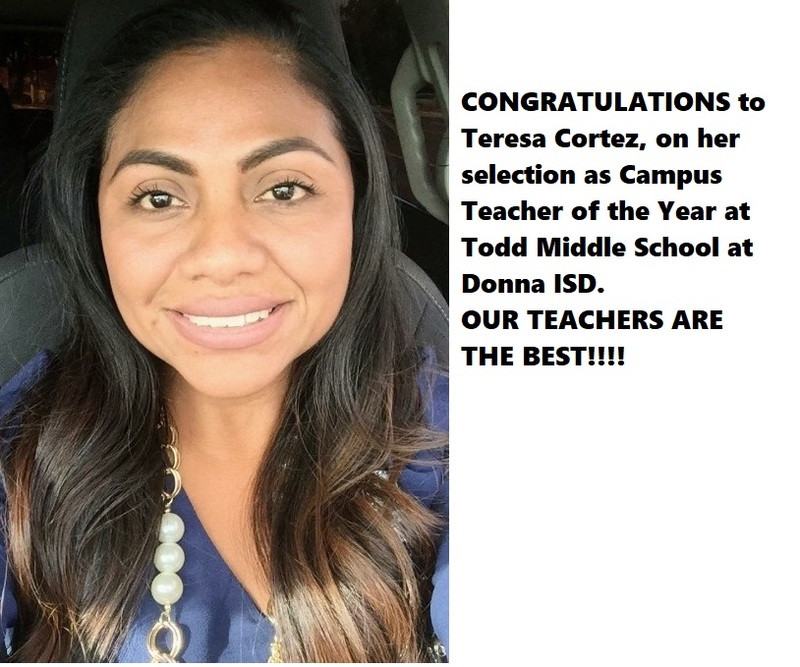 Congratulations To Our Outstanding Teachers! !